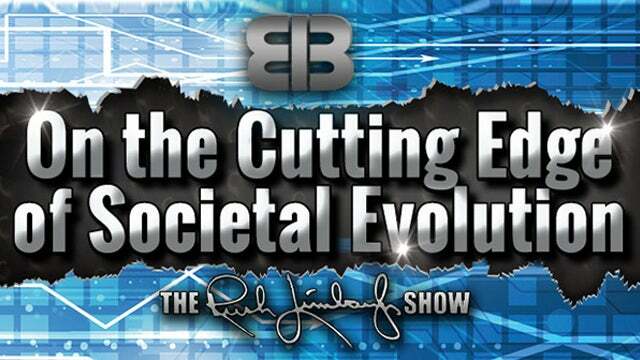 RUSH: Ladies and gentlemen, I wish to demonstrate for you at this time yet another example of how steady, regular, devoted listenership to this program will place you on the cutting edge of societal evolution. Steady, daily, devoted listening to this program will clue you in, in some cases years in advance, of what liberals and leftists will sometimes propose and actually do. To begin this demonstration of the prescience, the value, the cutting edge nature of this program, we turn to a sound bite from back in April, April 19th. At the International Monetary Fund spring meetings, the former mayor of New York City, Michael Doomberg, spoke about taxes. And this is what he said back on April 19th 2018. BLOOMBERG: Some people say, well, taxes are regressive. But in this case, yes, they are. That’s the good thing about them, because the problem is in people that don’t have a lot of money, and so higher taxes should have a bigger impact on their behavior and how they deal with themselves. So I listen to people saying, “Oh, we don’t want to tax the poor.” Well, we want the poor to live longer so that they can get an education and enjoy life. The question is, do you want to pander to those people or do you want to get them to live longer? RUSH: Mayor Doomberg was advocating taxing the poor. He was accusing them of skating on their responsibilities. He was disagreeing with people who say we should not tax the poor. I now wish to turn to me and this program back on April 1st, 1991, about 27 years ago, ladies and gentlemen. RUSH ARCHIVE: It is time to get serious, and it is time to get tough about tax policy in this country. The middle class, coupled with the rich, make this country work. Those two groups, working together in unison, is what make this country work. Now, what’s slowing this country down? I’ll tell you who it is. The poor. The poor and the lower classes of this country have gotten a free ride ever since the Great Depression, when it became noble to be poor. Look at how we treat the homeless, why we celebrate them, why we make romantic figures out of them, why we make movies about them. We teach them to dine in Dumpsters now because America is so impolite, America doesn’t care, America is so rude. My friends, we have the wealthiest poor in the world. They’re the ones who get all the benefits in this country. They’re ones that are always pandered to. We have been encouraging poverty because they need government. And Democrats love giving money away to the poor, because it creates a need. And, boy, have we created a dependency class, and do they give anything back, do they pay any taxes? No. They don’t have to file any income taxes. They don’t pay a thing. They contribute nothing to this country. They do nothing but take from it. It is serious, it is time to get serious about raising taxes on the poor. RUSH: Yet another monologue established me as a great thinker in America. Now, that’s back in 1991. It wasn’t until this year that Mayor Doomberg at an IMF meeting suggested the same thing. In fact, he even used the word that I used. He used the word “pander.” I used the word “pander” in my comments, and so did Doomberg. Listen to him again from April 19th of this year. RUSH: There you have it. Back in 1991 I accused the left and the Democrats of pandering to the poor, and here, 27 years later, Mayor Doomberg does the same. Classic illustration, classic. I mean, that monologue of mine is still referenced on occasions where the left really gets mad at me, when the media thinks I really need a comeuppance, they cite that monologue on April 1st, 1991.